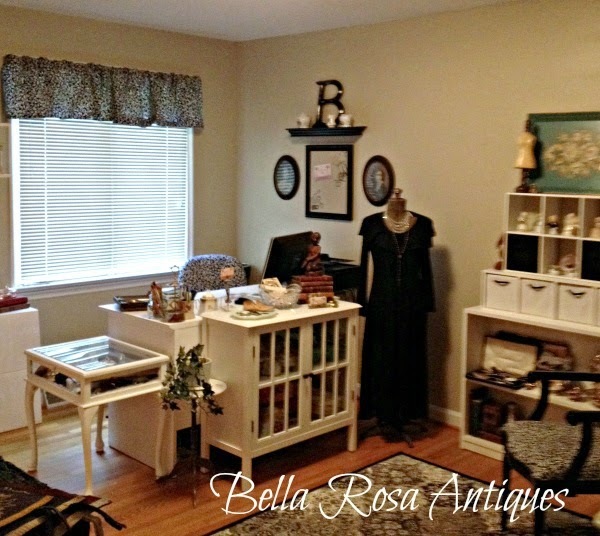 This week I am sharing some unique vintage finds. Things you just don't see on the hunt everyday. Finding something different, no matter the value, is always a bonus for me. The crystal beaded necklace above is not your average piece. It intrigued me because it was one long consistent strand with a large bead on each end. Turns out it is a lariat. You just simply fold the one end over the other and let it dangle or get creative and try a double wrap around. Love it! Then we have the cast iron double ink well. So unique! There's a tray for your pens and the two squares slide open to reveal the glass ink wells. 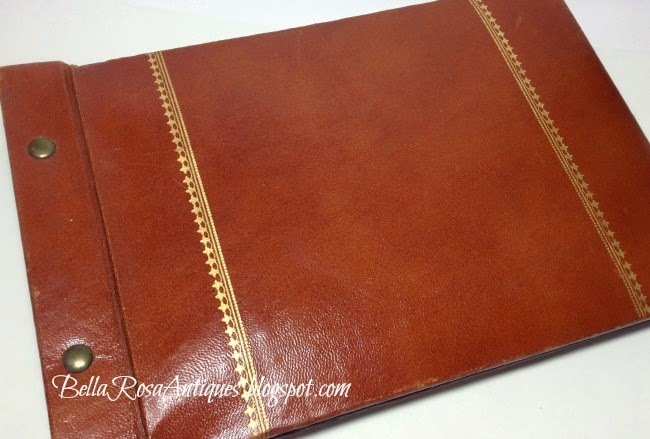 Then we found what I believe is a leather bound photo album or scrapbook. Since it is leather, it's not your ordinary run of the mill item. And lastly, a find we have saved for a few years, this Grace Putnam baby doll. Definitely not something you see everyday. 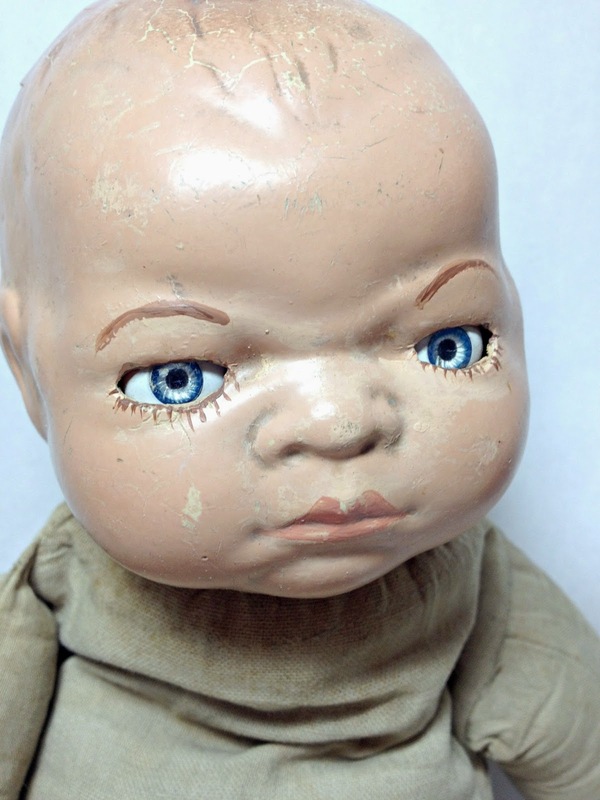 They were the first "realistic" looking baby dolls back in the 1920's. If you are a collector, I apologize for saying this but this one looks a little creepy! I'm still researching this one. I'm finding information on them but sometimes it is conflicting. 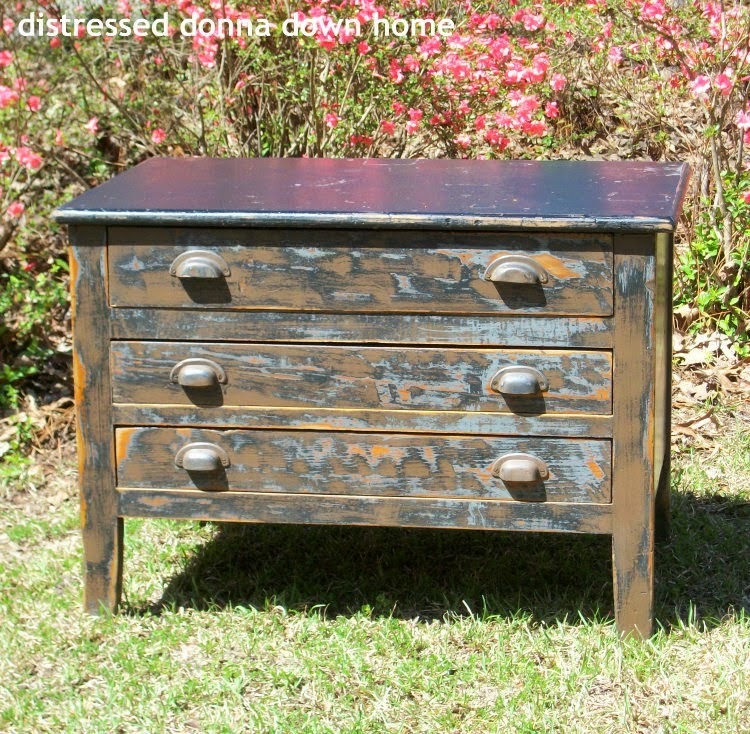 Donna of Distressed Donna Down Home worked some magic on this primitive chest. Rita of Panopoly shared how she cleverly used her newly expanded booth space. 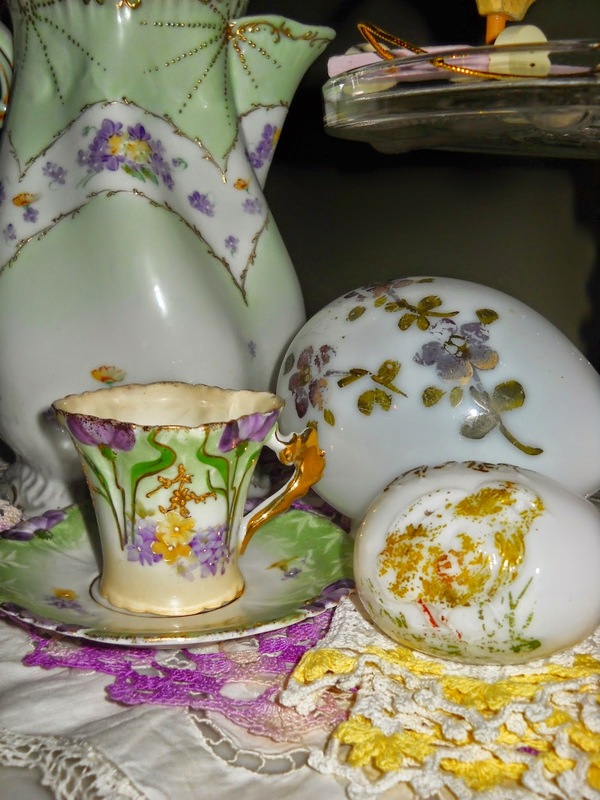 And Gina of Victorian Wanna Be shared her amazing Easter themed collections... from milk glass eggs to gorgeous ephemera pieces. 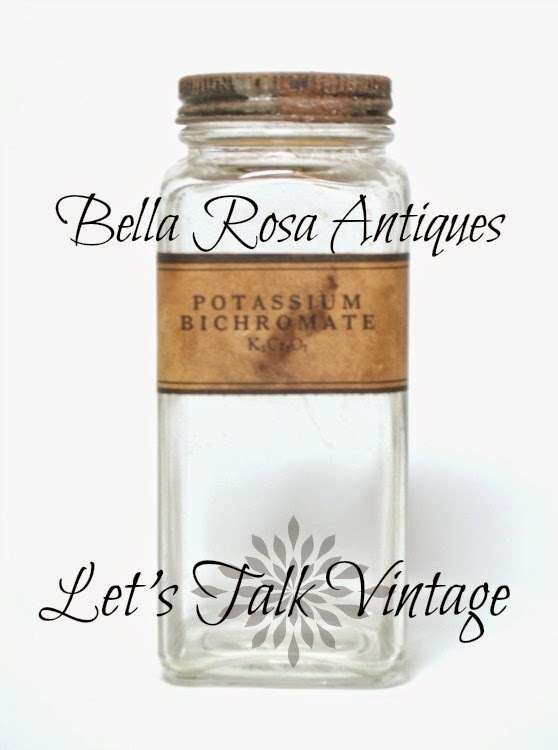 Now it's your turn.... Let's Talk Vintage! I'm contemplating buying that dollhouse butcher block on your Etsy today, I don't think it'll be too big for the kitchen area but I have to measure. Jill, thank you so much for the feature of our expanded booth space! 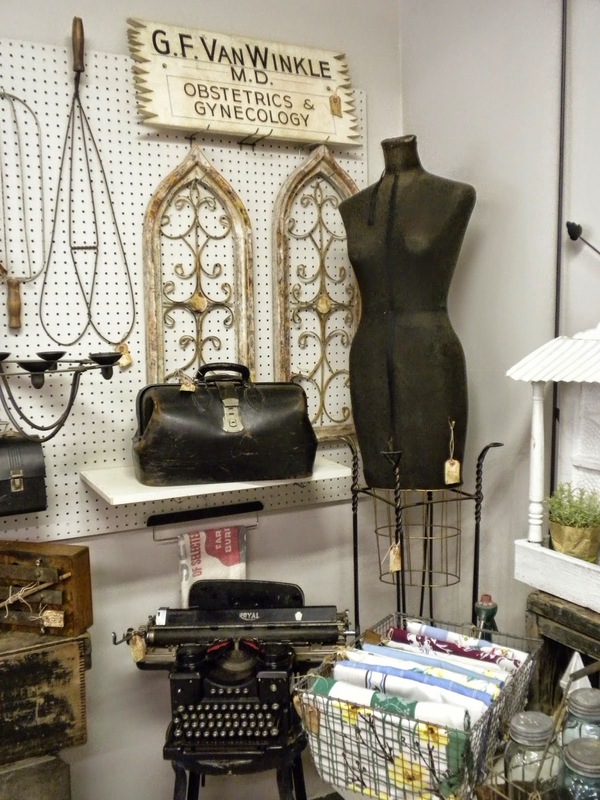 It certainly re-energized us, so much so that we overhauled our adjoining spaces this past week, and added some recent finds to the mix. I added some things at home too. You found some great things too - one of my Panoply sisters is a master doll maker, skilled in replicating the antique dolls such as yours. She's used to people calling them creepy, lol. That's a unique ink well, and the lariat looks so Flapper-esque - right up my alley! I'm glad I had something to share this week, thanks so much for having us over! Hi Jill! I love your lariat--so pretty. 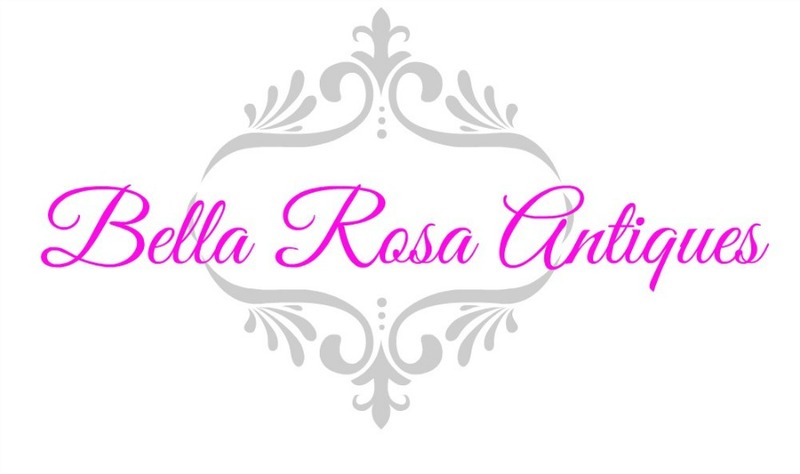 Great features this week from some of my favorite bloggers :) Thanks for hosting! 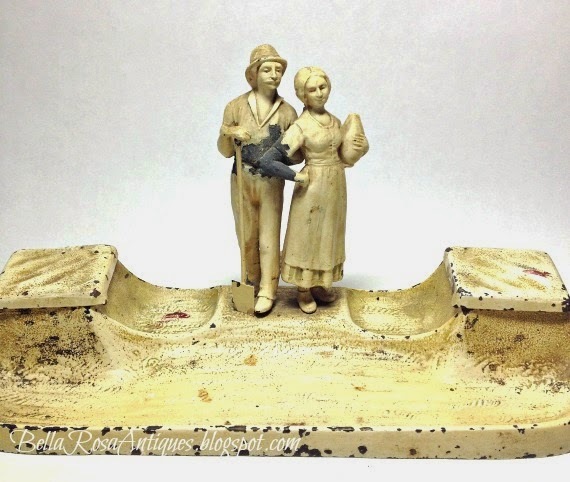 Fun finds for you, I like that inkwell. Hi Jill, that dolly is unique, haven't seen one with that face before. Thanks for Lets Talk Vintage 26. Great features, lovely bloggers joining in. OKay, that is one creepy looking doll!! LOL!! Thanks so much for hosting Jillian. I've never seen a doll quite like that one. I love your finds, especially the inkwell is beautiful ! Jillian, thank you for featuring my primitive chest - it is proudly wearing your button. 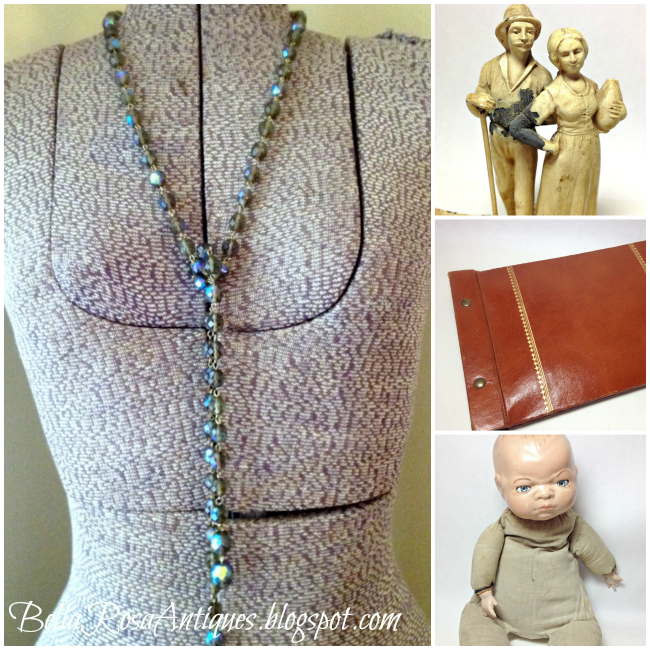 Fun finds, I love those beautiful beads. I must admit the doll is a little creepy, but still charming. I think you should do a "caption this" I can only imagine what it's saying with that angry look.